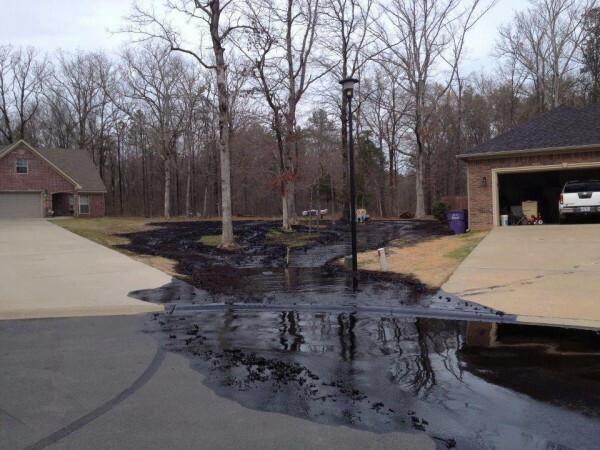 As reported in Inside Climate News, a federal appeals court has let ExxonMobil largely off the hook for a 2013 pipeline spill that deluged a neighborhood in Mayflower, Arkansas, with more than 200,000 gallons of heavy tar sands crude oil, sickening residents and forcing them from their homes. The Fifth Circuit Court of Appeals on Monday overturned federal findings of violations and the better part of a $2.6 million fine imposed on Exxon’s pipeline unit in 2015 by the U.S. Pipeline and Hazardous Materials Safety Administration (PHMSA). The regulator had accused the company of failing to maintain the decades-old Pegasus Pipeline and to prioritize testing of a segment of older, high-risk pipe where a 22-foot gash eventually opened along a metal seam. Exxon challenged the violation and fine, arguing there was no proof its actions contributed to the spill and saying it had conducted adequate testing of the pipeline as required by law. The appeals court agreed, saying the company met its legal obligation when it “conducted a lengthy, repeated and in-depth analysis” of the pipeline and its risks. In October 2015, PHMSA sent the company a 46-page order, citing nine violations. Ultimately, Exxon challenged six of those violations. The court sided with Exxon on five of them, saying the company took sufficient steps to analyze risks along the pipeline. On one violation—accusing Exxon of saying it had run a certain test on the pipeline when it had not—the court agreed with PHMSA, but it noted the company’s misrepresentation was not a “causal factor in the Mayflower Accident,” as the agency asserted. The court said it would ask the agency to re-evaluate an appropriate penalty for that violation. Exxon has also reached separate settlements with homeowners and governments related to the pipeline spill. The pipeline consists of three separate sections—built in 1947, 1954 and 1973—that were joined as one system in 2005 and 2006 to carry oil along an 859-mile stretch, southward from from Pakota, Illinois, to Nederland, Texas. The segment that burst is in the oldest section of the pipeline and is made of “low-frequency electric-resistance welded” (LF-ERW) steel pipe, made before 1970 and known to have a higher risk of rupturing along its lengthwise seams because of a manufacturing defect. The Pipeline Safety Act requires pipeline operators to create “Integrity Management Programs,” which include a written plan to assess pipelines and prioritize certain sections for testing based on risks. The regulations spell out the methods pipeline operators can use to perform these “integrity assessments.” If the pipe is LF-ERW pipe that’s susceptible to “longitudinal seam failure,” the assessment methods have to be capable of detecting corrosion and assessing the strength of the seams. But the law isn’t clear how operators should determine if pipelines are likely to suffer “longitudinal seam failure” in the first place. The Transportation Safety Board of Canada recently issued a report on its findings related to the 2015 derailment of a train in 2015. In its report, it ruled that a missed defect in an improperly repaired rail led to a 2015 freight train derailment in northern Ontario that caused numerous cars carrying crude oil to catch fire and crash into a local river system, the Transportation Safety Board of Canada said Thursday. As a result of its investigation into the incident, the board recommended Transport Canada consistently collect data on general rail surface conditions — and not just previously recorded defects — to better focus its track inspections and help predict future rail failures. “Track defect information is required to be reported to Transport Canada, while rail surface condition information is not consistently provided and rarely requested by the regulator,” said TSB chair Kathy Fox. Thirty-nine CN Rail cars went off the tracks near Gogama, Ont., in March 2015, while the train was travelling east at 69 kilometres an hour, less than the speed limit. As a result, 2.6 million litres of oil were released, igniting an explosion that destroyed a steel rail bridge, the TSB said. “This was the third significant derailment involving a CN freight train in a three-week span in early 2015 … in northern Ontario,” Fox said, noting that Transport Canada had not inspected that area of track since 2012. There were no injuries reported, but residents of the nearby Mattagami First Nation were advised to stay indoors during the cleanup due to possible smoke inhalation and told not to consume water from the community source. The TSB said the derailment occurred after a recently repaired rail within a joint broke under the train. Rob Johnston, manager of the TSB’s central region rail operations, said a track maintenance employee repaired the broken rail three days before the derailment. But during the repair, he missed an internal defect called a vertical split head, which was present, but not visible to the naked eye, Johnston said. The crack could have been detected with what’s known as a dye penetrant test, Johnston said, but that was not performed even though it was required by CN standards. Given the botched rail repair, the TSB’s report notes that a “slow order” should have been applied to reduce the speed of the train on that section of the track, but none was issued. Going forward, the TSB called on Transport Canada to gather data from railways on rail conditions — such as localized surface collapse — that can help identify areas of potential track deterioration. Fox said Transport Canada considers various factors to identify areas of concern, most of which are events that have already occurred — such as the number of accidents, broken rails or track defects that required repair under track safety rules. CN said it has taken action to increase safety measures following the 2015 derailments, from improving training for all track workers to implementing stronger engineering standards for its rail repairs and inspections. “We have expanded our use of technology to analyse, monitor and inspect track across the CN network. We continue to invest to maintain, improve and protect our infrastructure,” CN spokesman Patrick Waldron said Thursday. The Hazmat Suits Market research report, prepared by 360 Market Updates, provides an in-depth study on the current state of the Hazmat Suits Industry. The Report provides a basic overview of the Hazmat Suits Market including definitions, classifications, applications and chain structure. The Hazmat Suits Industry analysis is provided for the international market including development history, competitive landscape analysis, and major regional development status. To begin with, the report elaborates Hazmat Suits Market overview. Various definitions and classification of the industry, applications of industry and chain structure are given. Present day status of the Hazmat Suits Market in key regions is stated and industry policies and news are analysed. The report focuses on consumption, market share and growth rate of Hazmat Suits in each application and can be divided into two major subcategories. Hazmat Suits Market analysis report also provides information about the manufacturing process. The process is analysed thoroughly with respect three points, viz. raw material and equipment suppliers, various manufacturing associated costs (material cost, labour cost, etc.) and the actual process. After the basic information, the report sheds light on the production, production plants, their capacities, production and revenue are studied in the report. Also, the Hazmat Suits Market growth in various regions and R&D status are also covered. Further in the report, Hazmat Suits Market is examined for price, cost and gross revenue. These three points are analysed for types, companies and regions. In prolongation with this data sale price for various types, applications and region is also included. The Hazmat Suits Industry consumption for major regions is given. Additionally, type wise and application wise consumption figures are also given. Market Insight Reports recently released Global Emergency Spill Response Market Research Report 2017 to 2022 that presents an in-depth assessment of the Emergency Spill Response including enabling technologies, key trends, market drivers, challenges, standardization, regulatory landscape, deployment models, operator case studies, opportunities, future roadmap, value chain, ecosystem player profiles and strategies. The report also presents forecasts for Emergency Spill Response investments from 2017 till 2022. This study answers several questions for stakeholders, primarily which market segments they should focus upon during the next five years to prioritize their efforts and investments. These stakeholders include Emergency Spill Response manufacturers such as Oil Spill Response, Marine Well Containment, Polyeco, Vikoma International, Desmi A/S, Veolia Environnement, Clean Harbors, US Ecology, Adler and Allan, Markleen A/S, Elastec. Primary sources are mainly industry experts from core and related industries, and suppliers, manufacturers, distributors, service providers, and organizations related to all segments of the industry’s supply chain. The bottom-up approach was used to estimate the global market size of Emergency Spill Response based on end-use industry and region, in terms of value. With the data triangulation procedure and validation of data through primary interviews, the exact values of the overall parent market, and individual market sizes were determined and confirmed in this study. 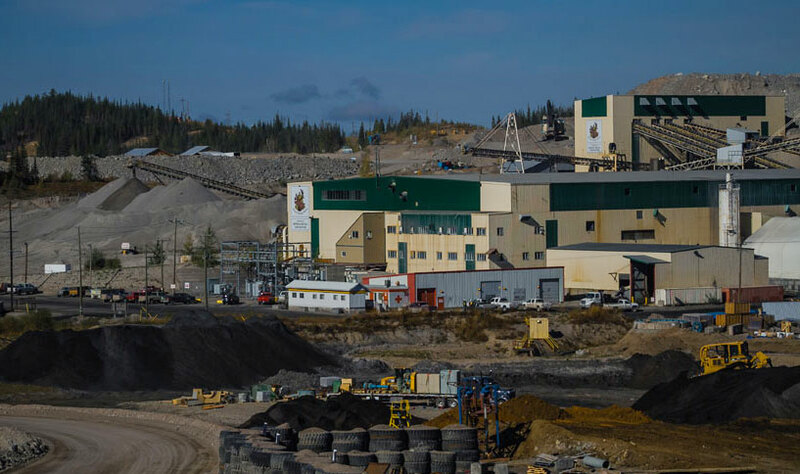 In the fall of 2016 MiningWatch Canada initiated a private prosecution under the Fisheries Act against the British Columbia government and Mount Polley mine as a result of the collapse of the Mount Polley tailings dam in 2014. The failure of the dam resulted in 25 million cubic metres of washwater and mine waste being released downstream into Hazelton Creek, Polley Lake and Qeusnel Lake. The contents of the washwater and mining waste including mercury, lead and other toxic waste. In the charges, MiningWatch Canada alleged that the dam released mine waste in 2014 directly into British Columbia’s Cariboo region creating a new valley and permanently destroying or altering fish habitat. It is believed that the release of the mine waste has impacted 20 different species of fish. In March 2017, MiningWatch’s private prosecution against both the province and Mount Polley Mining was stayed. A lawyer for British Columbia stated that the private prosecution was not in the public interest because the British Columbia Conservation Officer Service, Environment and Climate Change Canada, and Fisheries and Oceans Canada were already investigating the incident. The newly elected British Columbia government announced the first week of August 2017 that it would not be pursuing charges against the mine before the expiration of three year limitation deadline on the basis that “an investigation was still ongoing.” This decision leaves it solely to the Federal government to determine whether or not to pursue charges against the mine under the Fisheries Act. On August 4, 2017, three years after the spill of the mine waste, and at the end of the three year limitation period within which the province can initiate charges, Bev Sellars, indigenous activist and former Chief of the Xat’sull First Nation, filed charges against the Mount Polley Mining Corporation. 15 charges in total, 10 under the B.C. 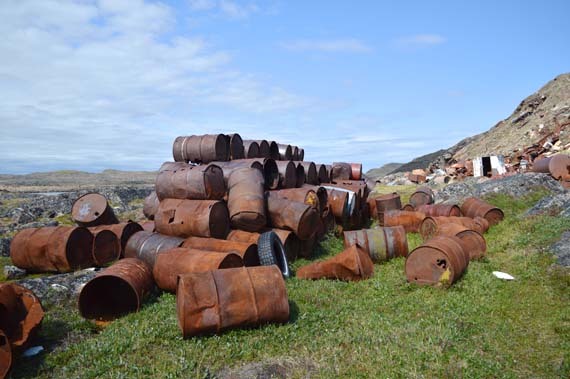 Environmental Management Act and 5 under the B.C. Mines Act, were brought by Bev Sellars as part of a private prosecution against Mount Polley. These charges relate to the dumping of contaminated mining waste into the environment and surrounding waterways, and poor and unsafe operational practices contrary to the permits issued to the corporation and the statutory regime. These charges can potentially be taken over by the provincial government. The private prosecution is supported by numerous organizations including MiningWatch Canada, West Coast Environmental Law’s Environmental Dispute Resolution Fund, the Wilderness Committee and the First Nation Women Advocating for Responsible Mining. B.C’s chief inspector of mines along with an independent panel of engineering experts concluded that the collapse resulted from a poorly designed dam that failed to take into account drainage and erosion failures. The findings indicate major gaps in resources, planning and tools in both ministries. For example, both ministries have insufficient staff to address a growing number of permits, and staff work with cumbersome and incomplete data systems. As a result, monitoring and inspections of mines were inadequate to ensure mine operators complied with requirements. Additionally, some mining companies have not provided government with enough financial security deposits to cover potential reclamation costs if a mining company defaults on its obligations. It’s underfunded by over $1 billion – a liability that could potentially fall to taxpayers. In light of the May 2016 Auditor General’s report, we expect that the goal with the filing of these recent charges would be to encourage the province to take over the charges and enforce its own laws. Under the B. C. Environmental Management Act, the Court can order alternative remedies including but not limited to remediation, compensation and restoration of fish habitat. Civilian and military responders face scenarios ranging from intentional chemical attacks and accidental hazardous material (HAZMAT) releases to natural disasters and environmental monitoring or remediation efforts. Responders step on-scene with a diverse toolkit –sometimes small and other times extensive. It is critical to stay familiar with the equipment in the kit, because no single chemical detection tool can provide answers for every scenario. Colorimetric test kits are one of the most commonly used technologies for quickly collecting presumptive information about a chemical. They are used to determine if a threat is present and determine its chemical class. This information is important, but knowing the exact identity of a chemical can inform a safer response. True chemical identity can provide information to responders and law enforcement officials beyond the initial threat, and lead to further discoveries to further safeguard the public. While some detectors only indicate the presence of a chemical, others specifically detect hazards in the presence ofa complex chemical background, like a gas chromatograph mass spectrometer (GC/MS). GC/MS is an incredibly sensitive and highly specific tool commonly used in laboratory environments. It can sense trace level chemicals other equipment can’t, while also providing the ability to positively identify the chemical. But chemical emergencies don’t just happen in laboratories –they can happen anywhere. Real-time chemical detection and identification in the field is critical to the CBRNE or HAZMAT response mission. Confirmatory chemical identification enables responders to mitigate a threat and protect people and the environment from harm. The most challenging aspects of taking gold-standard technology like GC/MS into the field is survivability in harsh environments and ease of use. Significant technological advancements have led to the development of the FLIR Griffin G510 person-portable GC/MS system. Its lab-quality detection performance, simple-to-use interface, and rugged construction are ideal for high-consequence response missions. Response missions take place in complex environments that the GC/MS must withstand. 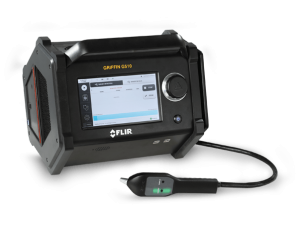 The Griffin G510 is completely self-contained in a 36-pound device, including batteries, carrier gas, vacuum system, injector, and heated sample probe. It is also the first IP65-rated portable GC/MS. This means it’s dust-tight and spray-resistant, which adds flexibility to decontamination procedures. There is no 40-pound external service module like other portable GC/MS systems and no 20-pound external pump under the bench like those seen in a laboratory. Batteries last up to four hours and are hot swappable, should the mission extend longer than expected, which eliminates the need for a power generator. The Griffin G510 is designed from the ground up to operate outside of the lab. Hazmat technicians will dive into using the features that deliver lab-quality analysis. First on-scene operators will appreciate that they don’t need a Ph.D. to use it. Basic operator training is completed in only two hours, while expert training can be completed in a single day. The user interface truly sets it apart from other portable GC/MS systems. It’s streamlined design and guided controls help the user select the mode of operation. First responders must perform quickly and with limited dexterity when wearing required PPE. They are responsible for sample and data collection, and in some cases, real-time decision making. The G510 alerts the operator with visual alarm confirmation both on the handheld probe, as well as the on-board 9” touchscreen. The large touchscreen can be operated by a responder while wearing full personal protective equipment (PPE). Hazmat responders can use the Griffin G510 to analyze all phases of matter (solid, liquid, gas). Its integrated survey mode capability identifies vapor-phase chemical threats within seconds. Its integrated split/splitless liquid injector enables responders to perform direct injection of organic liquids –an industry first. This same injector also accepts other sampling tools, including solid-phase micro-extraction (SPME), off-the-shelf headspace analyzers, and the Prepless Sample Introduction (PSI) Probe. The PSI-Probe directly accepts solid samples in their native form (such as soil and water-based materials). The Griffin G510 reduces the burden of sample preparation for the operator and provides ultimate flexibility as the daily mission changes. Hazardous environments demand the ultimate toolbox include confirmatory instrumentation like GC/MS. The Griffin G510 portable GC/MS redefines performance, ease of use, and value for the responder toolkit. Save the date: Tuesday, September 12, 2017 The Berkley Canada (a Berkley Company) Environmental Team is pleased to confirm we will be offering two Registered Insurance Brokers of Ontario (RIBO) accredited courses: Environmental Insurance – Introduction; and Environmental Insurance – Advanced Topics. The courses are open to commercial insurance brokers, asset managers, risk managers, insurance buyers, lawyers and consultants interested in learning about environmental insurance. More details to follow shortly. Please contact me at cspensieri@berkleycanada.com should you want more information.